Makita Corporation was founded in 1915 as an electric motor sales and repair company. Today, as a global brand in over 40 countries, Makita is an innovation leader, manufacturing best-in-class tools at 10 plants operating in 8 countries. 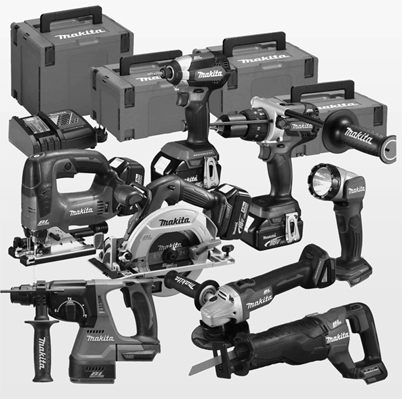 The unmatched quality and durability of Makita tools is driven by the company’s strong R&D capabilities, and have earned the trust of professional users world-wide. Every day, on jobsites around the world, Makita delivers the power, performance and durability that professional users demand with products that are more compact, have less vibration and feel better.